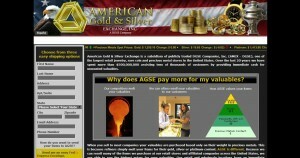 American Gold & Silver Exchange address, phone, website, and more. 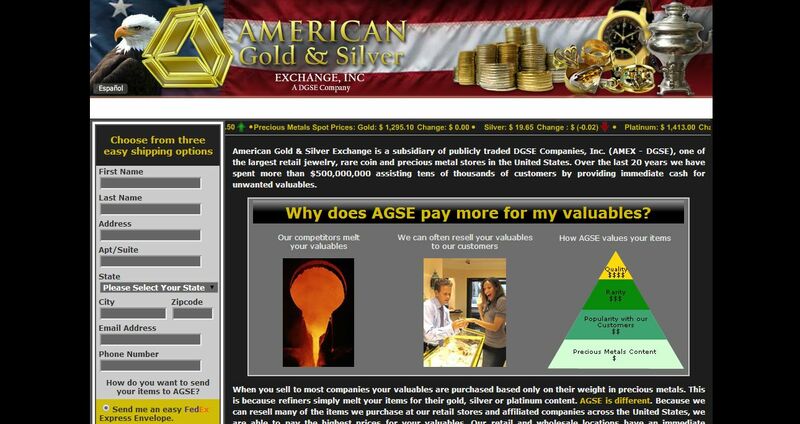 AGSE (American Gold & Silver Exchange) is a subsidiary of DGSE Companies Inc., which is a publicly traded company and one of the largest retail jewelry, rare coin and precious metal stores in the United States. Based in Dallas, Texas, the company is affiliated with A Chance To Give. It also purchases pearls, platinum diamond rings, estate jewelry, gold watches, antique sterling silver, earrings, precious gem stones and necklaces. AGSE and its affiliated companies have purchased over $500,000,000 worth of valuables over the last 20 years. As professional jewelers and coin dealers, the company is able to resell most of what it purchase to wholesale and retail customers.